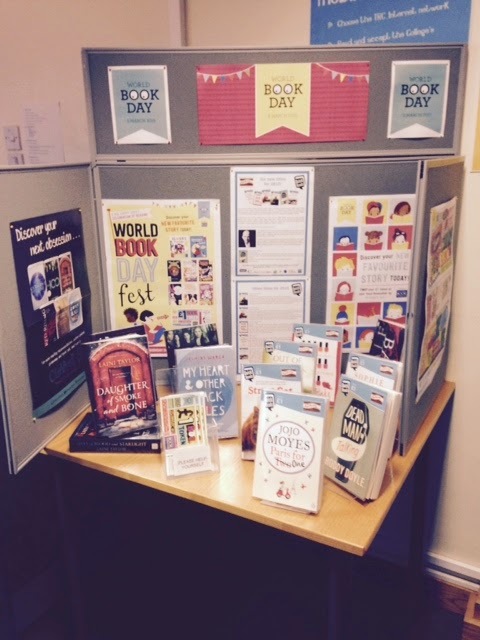 Today is World Book Day - a day to celebrate and encourage reading for pleasure. As part of World Book Day we have a display in the LRC highlighting some new book releases along with this year's Quick Reads (Quick Reads are short books written by big name authors that are specifically designed to be easy to read - they are the same as mainstream books in every respect but are simply shorter for those that don't always have the time to read or are less confident in their reading skills). All the books on the display are available to loan so please feel free to grab whichever copy takes your fancy. As part of World Book Day we are also giving away book tokens that entitle each student to one of the free World Book Day £1 Books or you can use it to put £1 towards any book of your choice, so make sure to pick up your token today and take it to your local book shop. We are also giving away a number of free books on a first come first served basis - so hurry, make sure you get in early to claim your freebie! Finally - don't forget the LRC has an extensive fiction collection, including graphic novels, new releases and much more - all these titles can be borrowed for a 3 week period so if the free books or displayed books are not up your street - there are many more you can choose from. If you are struggling to decide what to read, please speak to a member of LRC staff who will be happy to offer you a recommendation.